You must make reservations at least 5 minutes in advance of the time at The Majestic Restaurant. Free private surface lot for The Majestic Restaurant located two doors North at 919 Broadway. In-house or off-site catering available for large or small events. 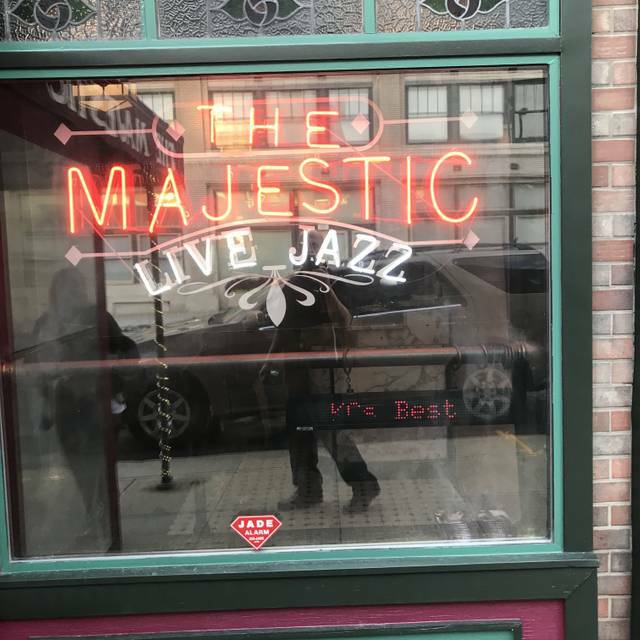 The Majestic Restaurant carries on the Kansas City traditions of great food and great jazz. 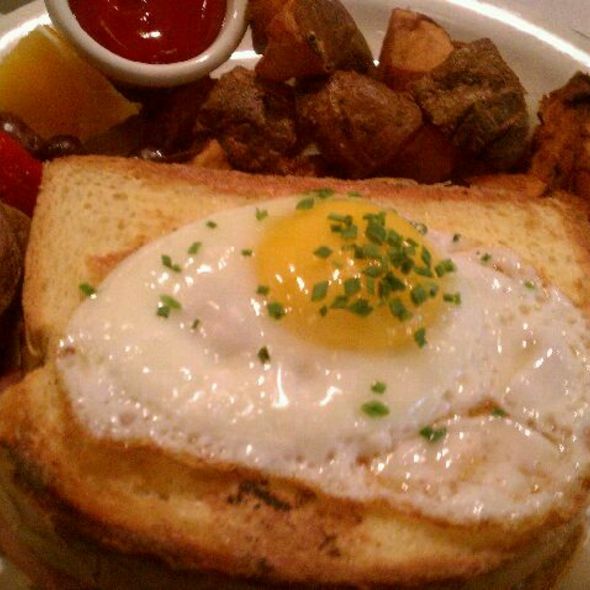 We serve brunch Saturday and Sunday, lunch Monday-Friday, and dinner seven nights a week. 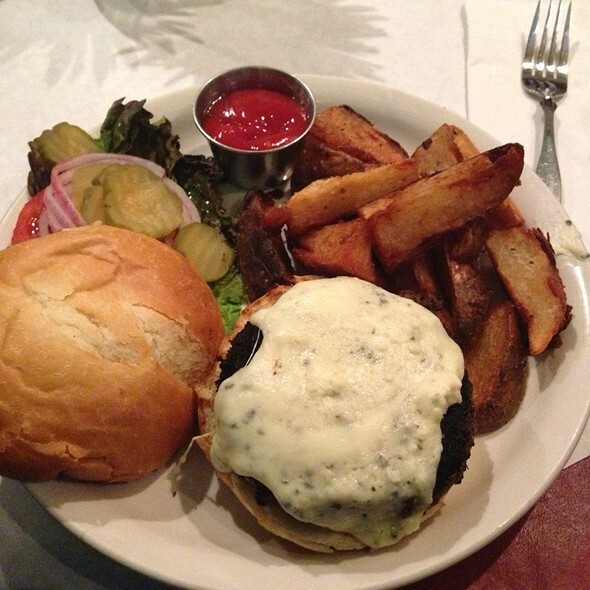 Featuring Kansas City's best dry-aged beef, chops, and seafood and located in the historic Fitzpatrick Saloon building at 10th and Broadway in downtown Kansas City, The Majestic Restaurant offers a true Kansas City dining experience like no other. 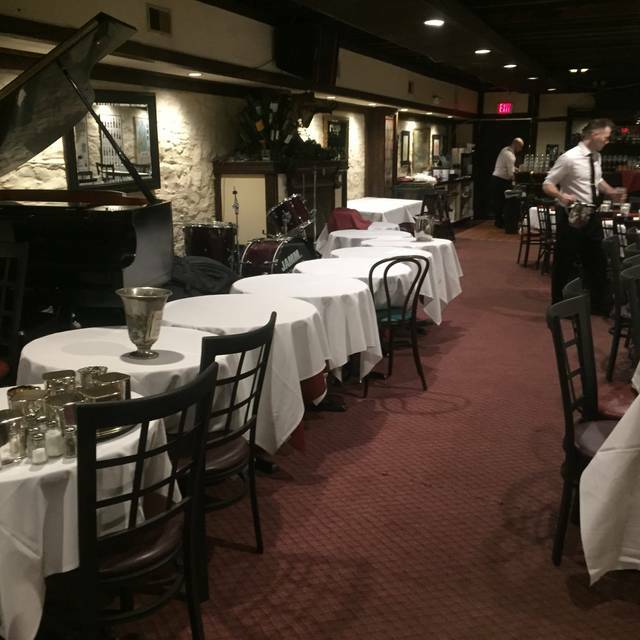 Enjoy a great steak and fine wine in our main dining room alongside a grand bar dating back to 1910, or have dinner in our lower level jazz club, the site of an actual speakeasy during prohibition, all while listening to some of Kansas City's best jazz musicians seven nights a week. An extensive wine list, creative cocktails by nationally renowned bartender Shawn Moriarty, a list of over 100 whiskeys, and a sinful selection of delectable homemade desserts provide the perfect accompaniment to the meal and the music. We LOVE Majestic's! It is a great place 99.9% of the time. This time around for our special celebration with friends EVERYTHING went wrong. Special table selected and double checked on for the special dinner with friends - we had to wait for one hour, our waiter failed to inform us that they are out of the Barrel Aged Manhattan we all enjoy and decided to substitute it for a replica, our lamb chops were undercook and almost raw. Even though we were offered a round of drinks on the house and after 45 min wait an appetizer to split 4 ways- the occasion was spiked and left us with a sour taste. Hope it was just a fluke, and due to change in management. Looking forward to better business practices. Enjoyed the jazz music, service was excellent. Food was good, but it was a little expensive. Service and food was phenomenal, though I did wish we were there for the live Jazz. The steak was incredible and the cocktails were strong. Most of the time when you order a cocktail at restaurants, they are super weak.....but NOT AT THE MAJESTIC. I had 2 Old Fashions and was impressed. I would recommend this spot to anybody. The most we have ever spent at a restaurant and we split a meal. I had the special steak on Friday, April 12 an from the way it was described, I had high expectations that were disappointed. The carrots and Brussels sprouts were amazing with the rosemary! The mashed potatoes with gravy were delicious! Thoroughly enjoyed my Cabernet! Brandon was a wonderful, attentive, informative server! Took care of us and answered any questions we had. Very nice gentleman. But the steak.....good flavor, but not so great texture. For being a $50+ steak, I need to be wowed. It was fairy tough with 20% of it being fat and gristle. Bram Wijnands Trio was PHENOMENAL!!! Definitely coming back to see them! The food was ok in taste but overpriced. The server we had was super! Food is good but on the extreme pricey end. Parking situation is horrible. Great food excellent service in an old KC standby. A little pricey but overall very good eatery. Steaks were slightly over cooked, but it was an otherwise excellent meal. Fantastic! This is a true historical gem. We loved our dinner and the great service we received from Andrew!! Upon arrival, the hostess asked about our preference in seating which was very hospitable and they were able to accommodate our wishes. We were promptly seated and greeted by our waiters. We advised that it was our first time there and both were very knowledgeable and helpful in making our decisions on what we were going to have for dinner. Both were quite knowledgeable of the history of the restaurant which fascinated my wife and I and the decor was outstanding. 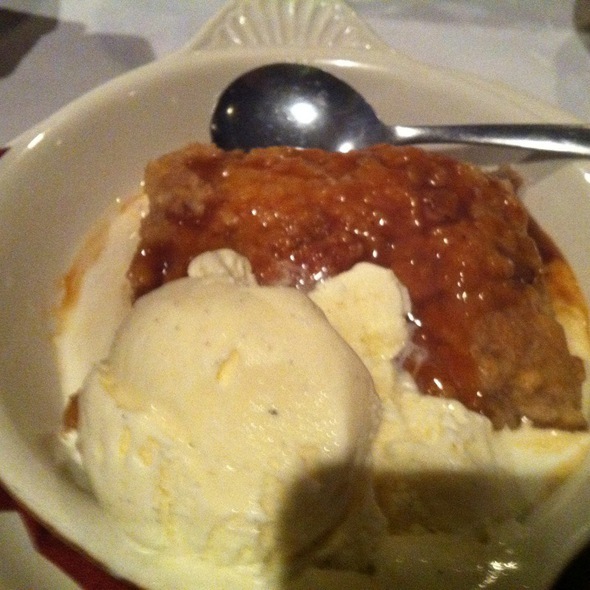 The waiters were very attentive and provided the best service we have experienced in a long time. The food was presented well,hot and delicious. This was a great experience for my wife and I and glad we decided to have our anniversary dinner there. Thank you and your staff for the service you provided. Excellent service and selection. Very knowledgeable staff. Love the feel of the building and the music was excellent, though the piano player chastised some guests for talking during the music - and hey, that is just what people do. Our server was excellent. A few missteps from the kitchen - one wrong salad, one steak not cooked to the right temperature. Such a cool place, would return. Fabulous food, fabulous jazz. Impeccable service. We asked for downstairs seating to listen to the music and were not disappointed. Can’t wait till our next trip to KC to return. 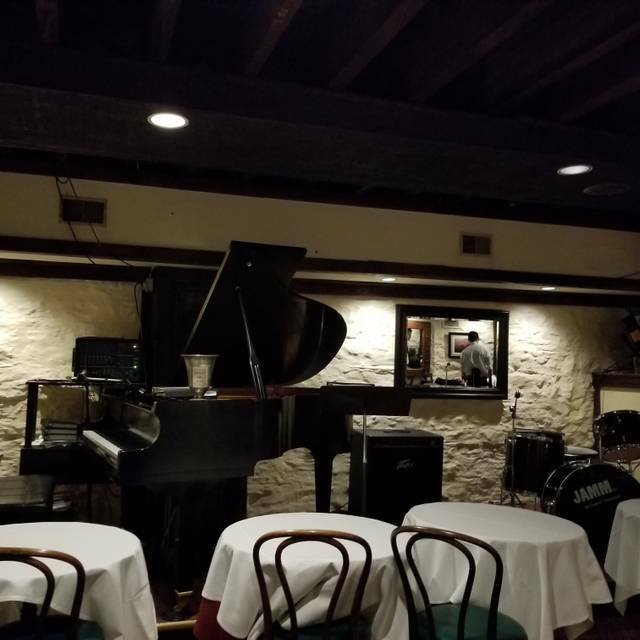 Excellent bone-in filet, great service, classy jazz duo. such a great place to eat. It was pricey, but I felt it was worth every penny. I would have like to go downstairs to check it out or eat. I was not given that option upon arrival only during the reservation process. This place is absolutely wonderful! We went on our anniversary and they were attentive and immensely kind! The food was seriously amazing. Get the majestic steak and a side of lobster. So dang good. Great foos and especially great service. Very broad menu (maybe to much) but we had a great dinner out. Our favorite “last minute” choice if our evening plans change. My boyfriend and I visited for a date night. The restaurant is still in its original state, full of rich history. We sat in the basement and enjoyed a jazz band while dining. The bartender mixed up wonderful drinks for us. We ordered steaks, of course. I will say that I don't necessarily have a refined palate. With that being said, the food is very expensive. I ordered a filet at $41 with 2 sides and a salad. 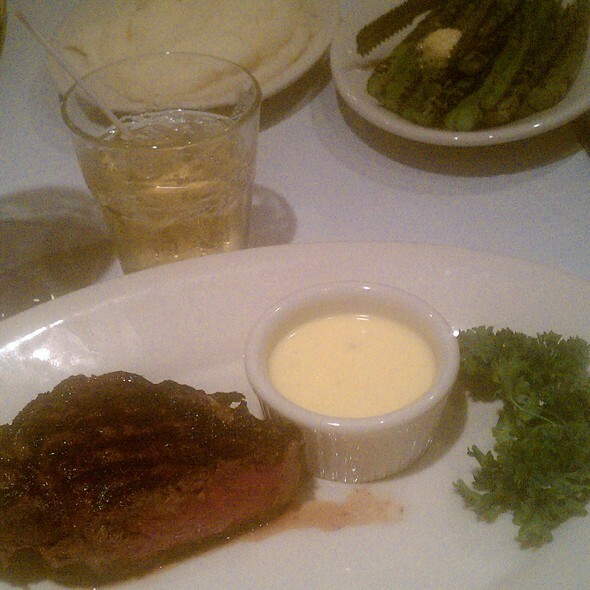 It was tender and flavorful but I've had delicious steak in town for half that price. My bf ordered a kobe beef steak at $68. Not worth the price. The staff is amazing, the food is great, the jazz band was fabulous. Worth a trip but definitely a special occasion kind of place. As always, a wonderful meal with great music!! I am 62 years old and the bone-in filet was the best tasting steak that I have had in my life. Bartender was great. Just a wonderful evening. Food Thursday evening was not up to previous standard for your restaurant. Bone in filet was not flavorful. Cheese plate and desserts were excellent; steak was a struggle that evening. This is an old restaurant feel with modern KC vibes. The salmon is a favorite for us. 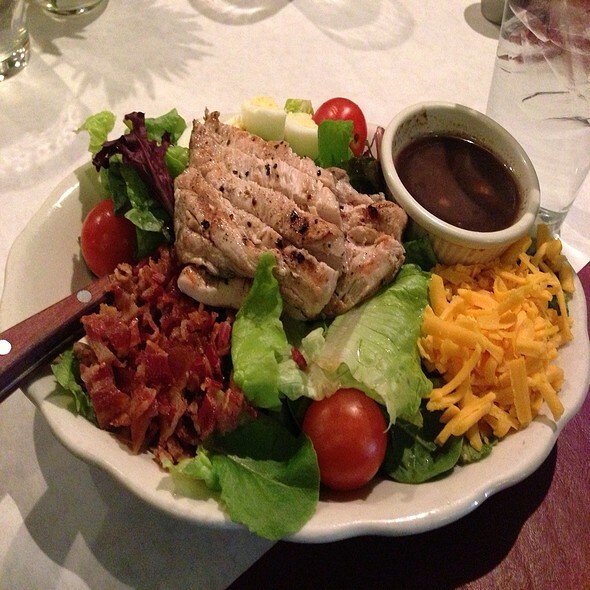 Fresh and seasoned to perfection. Our service was prompt and personal to our needs. We enjoy dining down stairs, where the jazz trio was great, as usual. I would highly recommend. We enjoy coming here for special occasions or entertaining our out of town guests. We are big fans of The Majestic, we eat there 7-8 times a year. Normally no problem but something was a bit off last Thursday night. Not with the service, the service is great, always! AND the bartender was really on his game with the Old Fashioned, one of the best I've had there. The fish special, Trout with asparagus and béarnaise sauce was really disappointing, the chef missed the mark on that one. First the stacks of asparagus were so large and tough they could not be eaten. the béarnaise sauce had been baked on so it resembled a crust. Not a good choice. I was also disappointed when I order my baked potato "loaded" that usually comes with cheese and bacon in addition to the butter and sour crème. Not so Thursday. As I said, we love this place but it was a bit off Thursday. Traveling through Kansas. We picked the Majestic because it was historic and had good food. Our server was very knowledgeable and helpful. The food was excellent. We are here for brunch on a Saturday. Our waiter was amazing. The food is really good and the history of the restaurant is truly interesting. Very family friendly. This was our first time to The Majestic. Our waitress Kandis was outstanding! The music delightful the food and drinks so good! 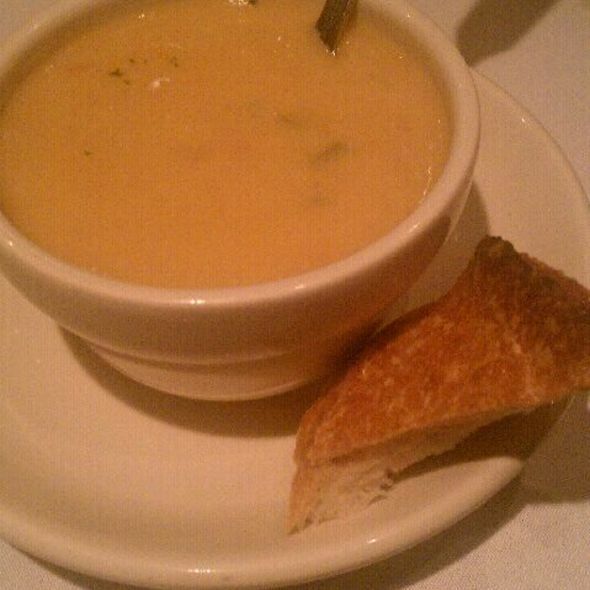 We got the bone in 12 Oz steak, 4 cheese Mac and Cheese, Steak Soup, Tomato Bisque, Baked potato and the crab cake! Service was great-very attentive. Food was excellent! Always a good place for a quick meal - or full steak dinner! We had a terrific time. We sat in the jazz club. The music was terrific. As were the food and service. Great car too. Perfectly prepared steak. Generous pours at the bar. Knowledgeable friendly service. Live music. Definitely on the list for return engagements.